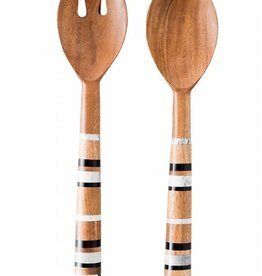 Our salad server set pairs perfectly with any round serving bowl. 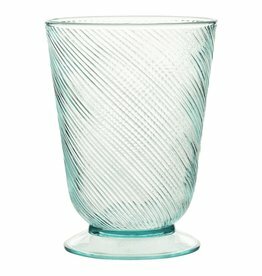 This subtly shimmering and textured collection is crafted of sturdy mouth-blown glass to celebrate life's simple pleasures everyday. 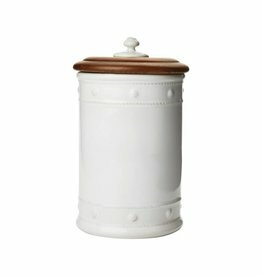 Great for your kitchen, bathroom, or office. 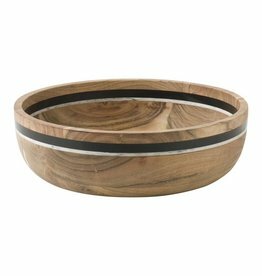 A traditional wooden serving bowl is given a modern twist with a bold black and white stripe of hand-marbled resin, making it a versatile serving piece that walks the line between formal and casual. 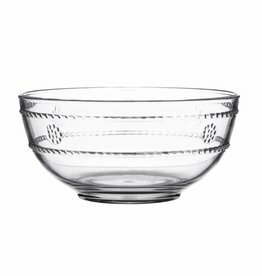 The acrylic berry bowl is sized for condiments, a side salad, or even dessert and was designed with the adventurous entertainer in mind. 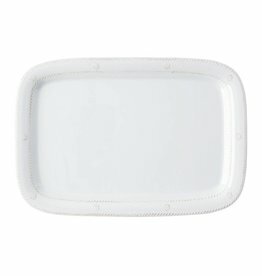 This durable serving tray will transport your dinner directly from the grill to your table with ease. 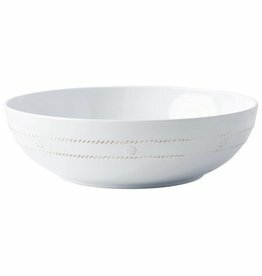 This serving bowl is a masterful and durable addition to the pantry of any gracious entertainer. 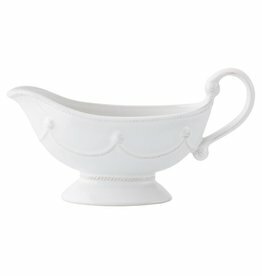 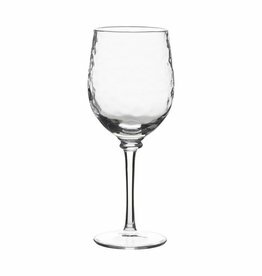 Pour on the charm with this sophisticated vessel that is festooned with festive garlands and studded in berries. 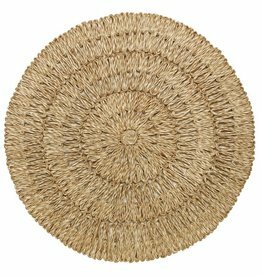 Durability meets design with our iconic Berry & Thread motif allowing you to seamlessly entertain indoors and out. 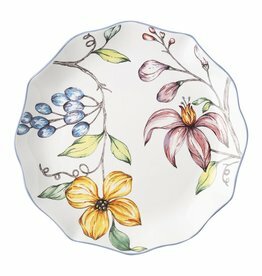 Baking and serving your best bubbling dishes is a breeze in this dish that can go straight from the oven to your table for an effortlessly elegant presentation. 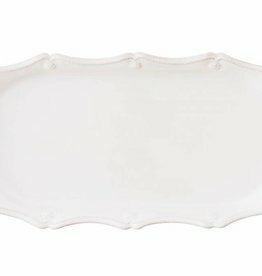 From passing canapes as guests arrive to displaying a collection of perfumes on a dresser, this tray is both elegant and versatile. 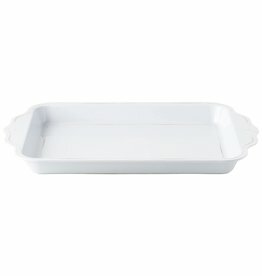 Being "square" never looked so appealing. 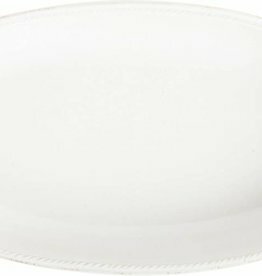 Embellished with modern restraint, '50s housewives would swoon at the ease of taking culinary creations straight from the oven to the table with such seamless sophistication. 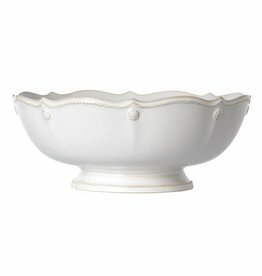 Whether used as a centerpiece or a serving piece, our footed fruit bowl makes the perfect statement. 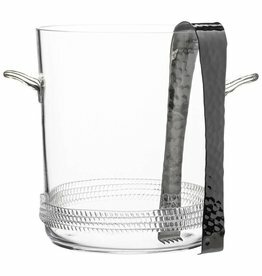 This beautiful ice bucket and tongs is particularly festive when brimming with ice cold bubbly. 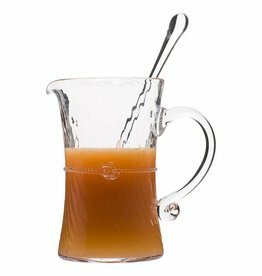 Craft a classic cocktail for a crowd with this bar pitcher and stirrer - crowned with a simple thread and single berry, dressed in optic glass from the waist down and belted with a charming sash. 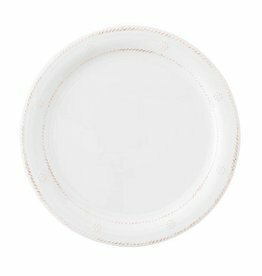 The dessert/salad plate is a lovely and versatile accompaniment to a feminine table or tea setting, and layers beautifully with any whitewash pattern. 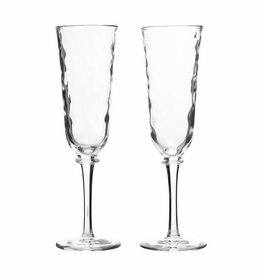 Striking the perfect balance of understated elegance, the Arabella acrylic collection in sea foam was designed with the adventurous entertainer in mind. 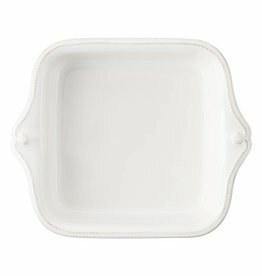 This generously sized tray will make it easy to transport all your table settings and BBQ accoutrements to the patio in one foul swoop! 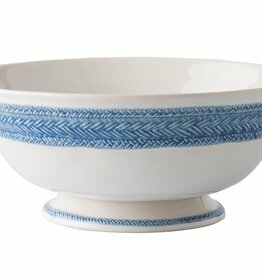 Inspired by the French basket weave often found in equestrian and nautical traditions, this footed fruit bowl features a beautifully hand-painted Delft Blue herringbone band. 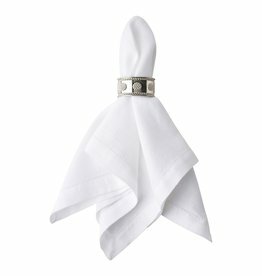 Add gleaming accent to your table with this tailored napkin ring that lends a splash of subtle sparkle to any occasion.